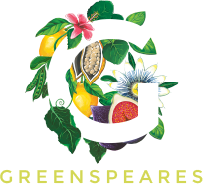 Greenspeares is a deli and kitchen, our neighbours’ regular for thoughtful produce whether on the go, to enjoy at home or with a little more time to sit back. Our mission and our passion is to mindfully and sustainably source all our ingredients, working as nature intended with our British seasons and growers; and when in our hands, to respect the produce in its entirety, crafting food and drink that pleases the eyes as it does the taste buds. We also cater for events, business lunches and picnics in the park as well as those very special requests for homemade celebratory cakes. So do pop in and get to know us! Our menu changes alongside nature’s seasonal ingredients. We also enjoy sharing new ideas with you in weekly specials so there is always a nice surprise in store. "Superb food! Refreshing different and healthy too! Very stylish decor"
"Utterly delicious and beautifully presented"
"Superb food - Lovely setting - Highly recommended"
We’re always pleased to see you. Come in and take a look around or drop us a line with any thoughts, questions or ideas. Mon-Fri: 8am-5.30pm, Sat-Sun: 9am-5pm. Kitchen closes at 4pm daily.